Do you know about the latest updates of DOT jobs? Here is a great opportunity for all you to start your career in the Government sector by applying the posts on DOT Jobs 2019. Refer the below – tabulated details and check out the eligibility to apply for the postings and nurture your skill and develop your career growth. Candidates should hold PSU pay scale of Rs.20, 600 to Rs.50, 500 in present IDA scale are eligible for this post. Applicants with the certification of a post in PB2 with experience of minimum 3 years in the grade by holding GP of Rs.4, 600 in CDA or pay scale of rs.16, 400 – Rs.40, 500 will be preferred for DOT Assistant Director Recruitment 2019. Candidates should hold a consonant post of junior Telecom officer with the pay scale of PB2 with GP of Rs.4, 600 in Central/ State Government on a regular basis. 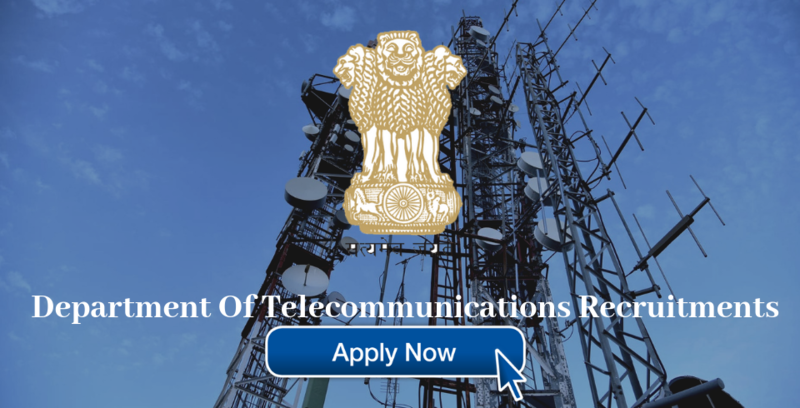 Candidates who are holding JTO or similar post with the pay scale of Rs.16, 400 – Rs.40, 500 in present IDA circle on BSNL/MTNL/ITI/TCL/ Any other PSU are eligible to apply the post- DOT Junior Telecom Officers Recruitment 2019. Step 3: Click the suitable career options on the advertisement to apply for the posting in Department of Telecommunications Recruitment 2019. Step 6: check the documents to be submitted along with the application form and make ready of all documents and Keep a Xerox copy of the documents. Step 7: Fill up the columns by mentioning your original details, don’t use any fake details to fill up the columns and make sure to attach the self-attested copies and documents for verification. Step 8: Check once or twice the application and put your signature finally on the marked area to finish the process to apply DOT Asst Director & Jr Telecom Officer Recruitment 2019. Step 9: Sent the scanned hard copies and application form to the Postal address given below. Step 11: pay the application prescribed fee through the online transaction and finally press the submit button to finish the process. Step 12: Make a copy of the online registration and be assured to send the postal before the date of 15th May 2019.